As delayed marriages are one of the biggest problems an astrologer has to confront, this topic is a small attempt to answer this question based on my humble experience over 15 years. In astrology no event can occur unless and until three conditions given below are fulfilled. Before making any predictions first ensure: •	Whether the marriage is promised to the native? In the absence of combinations of planets essential for marriage, any forecast is going to meet a failure. •	If planetary combinations are available, whether the period capable of conferring marriage is operating at an appropriate age? In case the period is going to operate quite late in life, the yogas present are almost negated. •	Whether the current transit of the planet is also supporting the period operating? Marriage Promised or Not? This is the question, answer to which is the most tedious. 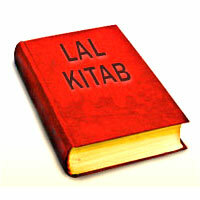 The standard text books are replete with numerous combinations for denial of marriage. It is neither possible nor practical to memorize all these combinations. Moreover, most of the combinations appear to be self-contradicting when applied to practical horoscopes. However, the following factors can be successfully applied to judge the denial of marriage. Before this consider the following planets as the most dangerous planets for marriage or married life in order of decreasing evil. 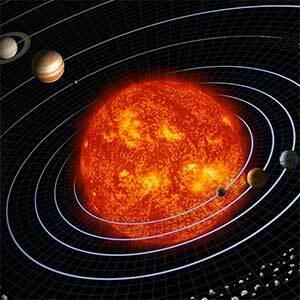 These are Jupiter, Sun, Saturn, Rahu and lord of the 12th house. Sun, Saturn, Rahu and the 12th lord are the planets capable of causing separations and their combined influence on any house (indisputably) denies the results of that particular house. Jupiter in this category is a recent discovery because Jupiter is a natural benefic and its aspect on any house is supposed to increase the fruits of that house. Perhaps being a spiritual planet and planet relating to saintly life, it is not good for marriages at prime age (20 -27 years). For seeing the denial of marriage please check, in addition to other tools at your hand, the following factors: •	Both lagan and navmansa chart- navmansa charts particularly for denial of marriages. •	Whether in Navmansa chart Jupiter is located or aspecting the 7th house or its lord or its significator Venus (both male and female nativities). •	Whether in Navmansa chart Mars or other planets capable of causing separations as stated above also aspect Jupiter, 7th house or its lord singly or jointly. •	If 7th lord of navmansa chart is posited in 6th or 12th house. •	If any debilitated planet is located in 7th house in navmansa? If answer to any of the 3 factors is yes, then it is going to be a case of denial of marriage. Otherwise marriage may not be denied, though it may be delayed. Marriage Delayed In addition to many other factors one factor surely plays a big role in delaying the marriage. Jupiter located in 7th house or its aspect on 7th house definitely delays the marriage beyond 28 years if Jupiter is associated or aspected by either Mars or Rahu or Saturn. The more the influence, the more the delay. Their influence on 7th house, 7th lord or the significator of 7th house can delay the marriage beyond 36 years also. Any attempt to strengthen Jupiter by topaz etc may only multiply the problem. Marriage When ? Most prominent factor to decide this question is, of course, dasa operation of the planets capable of conferring marriage. If between the age of 18 to 28 any of the following sub dasa is operating (in order of decreasing significance) then marriage can be safely predicted during that period: 1. Of 7th lord, 2. Lagan lord, 3. Planet occupying the 1st house, 4. Planet occupying the lagan, 5. Dasa of significator of marriage. In addition to this, it is part of my observations that in female nativities, sub dasa of Rahu is also responsible for marriages. Disharmonious Marriages The ultimate purpose of marriage is the comforts derived from it. Following factors play a great role in disharmonious married lives: •	Marriage between persons whose lagan lords, not signs, are permanent enemies. •	Lord of 7th disposed in 6th or 12th house •	Influence of planets capable of causing separations (Sun, Saturn, Rahu and lord of 12th House) on 7th house or it’s lord or on both. •	Jupiter influencing the 7th house if married between 18-22 years of age. Harmonious Marriages Jupiter delays the marriages but it does not cause discomforts to married life itself. 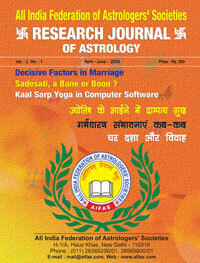 Influence of benefics including Jupiter on 7th house or its lord promises a good married life. In addition to this, if in two horoscopes one’s lagan is other’s 7th lord then other negative factors in the horoscopes are greatly eliminated. Manglik dosa has no role in preventing the comfortable married life. Manglik dosa can be ignored if other factors are favorable. Role of Compatibility The discussion on the topic will be incomplete without a comment on compatibility. Though proper care should be taken to see gunas but more important thing is the compatibility of horoscopes. In the absence of a strong foundation of horoscopes, compatibility even with 30 gunas or more becomes meaningless. 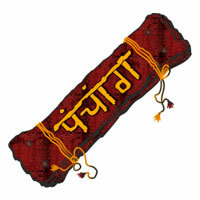 A strong horoscope with 18 or even less gunas will ensure good married life. Out of the 8 types of compatibilities only Gan, Bhakut and Nadi play bigger role. Even out of these Nadi Dosa and Bhakut dosa of 6-8 are almost without any solution. Middle Nadi particularly affects the health of either of the spouse and Bhakut of 6-8 is most damaging even if a single planet capable of causing separations is influencing the 7th house or its lord.